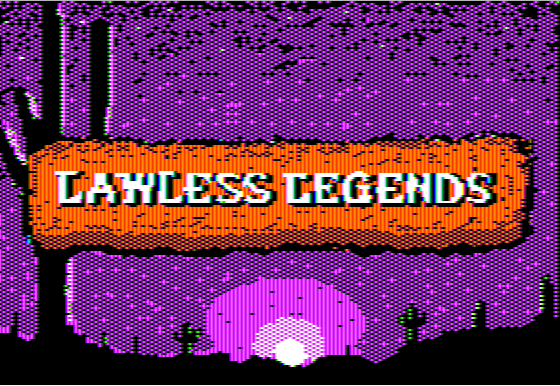 Play a pre-alpha version of our RPG Lawless Legends v0.50 on your own Apple IIC, IIE, Emulator,etc~! 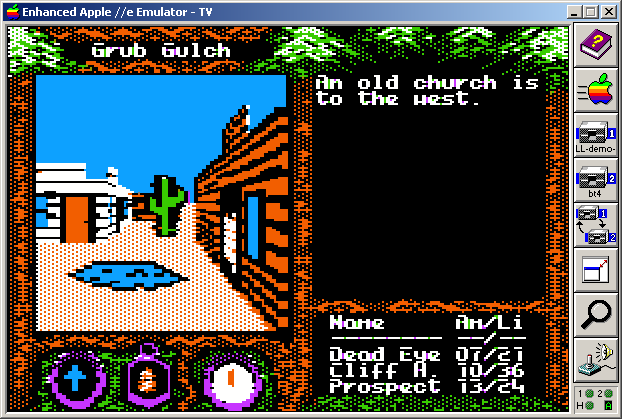 Lawless Legends is a fantasy role playing game set in the wild west for the Apple II, C64, & other modern platforms! NOTE: Controls are A W D S and J I L K – This is a very rough demo so inside buildings and special locations are missing static portraits in the view screen. To enter a building walk into any image of a door. There is no 2d wilderness map, combat or character info yet. We only have the 3d view and simple scripts running right now but more to come! ENJOY! We are still looking for coders & graphic artists to pitch in. Please send us a note if you would like to help out. 8 Bit Weapon to be featured on PBS’s Beyond Geek this fall!